You have no idea who it is that you are messing with. You have barked up the wrong tree and challenged the wrong family. 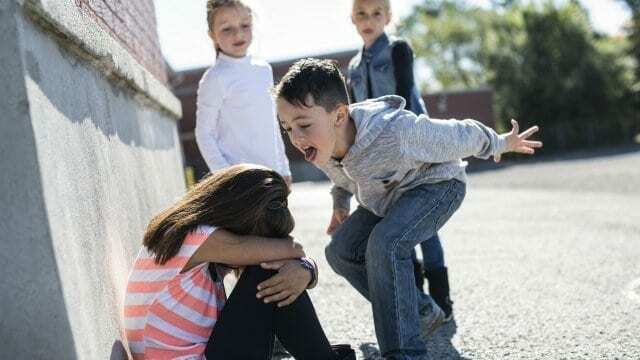 In choosing to bully my child, you have set yourself up for some extreme failure. You will fail to intimidate my child. She doesn’t alarm easy, and she will shake your obvious tactics right off of her shoulder. You will fail to cause her sadness. She rarely allows herself to become despondent and doesn’t let people stifle her desire for joy. You will fail to provoke her. She does not incite easily; she keeps pretty even-keel. You will fail to embarrass her. She understands that embarrassment is for the birds; owning your shiitake, that’s for the strong. You will fail to confuse her. She is not easily misled and will not allow you to bewilder her. You will fail to hurt her. Did you hear me? Your efforts are a waste, as she will not succumb to your willingness to ruin her day. But, guess what? You have also set yourself up for some extreme growth; lucky you. Because you see, my daughter will treat you with kindness, no matter how you treat her. My daughter will be armed with the knowledge that your adverse actions are occurring because of something going on with you, and that they are not something going on with, or caused by, her. My daughter will be selfless enough to at least attempt to help you figure out what is going on inside of yourself. My daughter will come from a place of understanding, and she will voice to you that she wants to help you. My daughter will know that people who are being mean to others, typically need and want attention; so she will give you some, for anything and everything positive she sees you do. My daughter will give you the benefit of the doubt, because she is well aware that people who act mean aren’t always mean people, and that bully she is encountering is probably just having a bad day. The unfortunate truth is that I have no control over whether or not you choose to bully my child. That people are strong. She is strong, and you are strong, and that those with mental and emotional strength are capable of discerning the fact that being strong doesn’t always mean you have to fight back. That being strong sometimes means not letting nonsensical actions or words bring you down. That sometimes being tough means walking away. That words are just words, but when you use them, you must speak with integrity; you must not use hurtful words toward yourself or others, and you should never gossip. Words should be used to spread joy and talk about truths. That you should always be respectful and that you should respect other people’s feelings, even if those feelings, in your opinion, lack validity. You never know what other people’s feelings mean to them. Like I said, in bullying my child, you are making a big mistake, but our mistakes teach us and help us grow, and my daughter will help you do that. Nicole Merritt is a mother of three and the Owner and Founder of jthreeNMe, an imperfectly authentic peek at real-life marriage, parenting, and self-improvement. jthreeNMe is raw, honest, empowering, inspiring, and entertaining; it’s like chicken soup for those that are exhausted, over-stressed and under-inebriated, yet still utterly happy. Nicole’s work has been featured by Scary Mommy, The Good Men Project, BLUNTmoms, Thought Catalog, Everyday Family, Motherly & many others. You can follow Nicole at jthreeNMe and on Facebook, Pinterest, Instagram & Twitter.